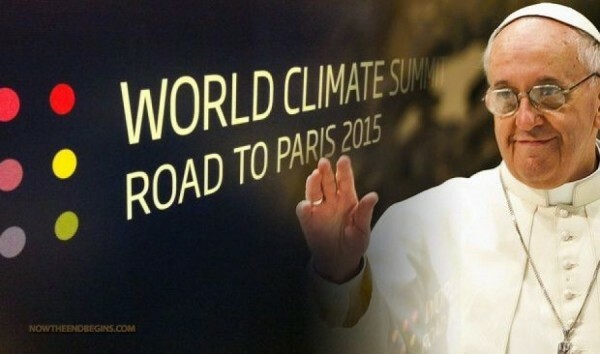 Will Pope Francis Change Global Minds On Climate Change? I support these statements, and I support Anthony for posting them. Today we see another set of meetings in Rome. One is that of the Pontifical Academy of Science, and the other the Heartland Institute. Both organisations are hoping to influence the widely heralded Encyclical from Pope Francis that will include references to climate change. Given that the text of the Encyclical has already been finalised, and is currently being translated, there may not be much that either party can do to affect it’s content. 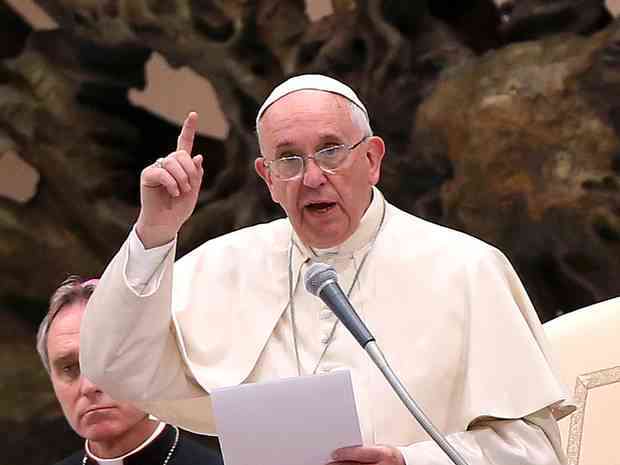 The headlines they are making will be building up expectations on both sides, and it’s worth having a closer look at the background to an encyclical. I stand with Anthony Watts and Eric Worrall in this regard. Christians accept the claim Christ made that He is the truth. Our commitment must be to truth. The truth is that green policies, green religious claims, are death. Life and health for the world is in energy. More fossil fuel and more available, affordable energy are the requirement. There is no substitute. No religious edict or philosophical contortions will change the fact that not only must we burn these fuels, but we will. The ancient physician’s oath is not religious, but it is true: First, do no harm. Green policies, the religious demands of secular environmentalism do clear harm today. First, do no harm. Does a Christian owe their first loyalty to the Pope, or to God? If your conscience tells you one thing, and the Pope tells you another, which path should you follow? Galileo followed his conscience. Even when given a direct order by the highest authority in Christendom, to recant his opinion that the Earth is not the centre of the universe, he chose conscience over obedience, divinity over temporal authority – until he was threatened with unspeakable pain. The Mathematics Standards Writing Committee membership is being finalized.The first Writing Team meetings will occur May 1 and May 2, 2015 in Norman, Oklahoma. We are excited to begin this important work toward higher standards for mathematics in Oklahoma, and we would like to personally invite all teachers, administrators, parents, and community members to consider investing your valuable time to provide feedback on the current mathematics standards. Your input will provide a valuable lens for the Writing Team members as they carefully analyze and work to improve our mathematics standards. The survey is divided by grade band so you can either answer the parts that matter to you most or fill out the entire survey pre-K through high school. Questions are designed to allow input on the nature of each standard in regard to whether it is “useful,” “realistic” and “challenging.” The standards are in two parts: the content standards (a list of topics to teach at each grade level) and the process skills (ways of using and applying the mathematics). Standards are shown side-by-side with previous or next-year standards to show how they build upon each other. There is space throughout the survey to make comments and recommendations. Thank you for your interest in this important work for mathematics education in Oklahoma. Government spending for anything the government doesn’t directly need, first hand, is a bad idea. Government funded research for space has paid dividends, but we’d likely be ahead had the government stayed out of it. Still, look at other research. The government is spending hundreds of millions per year on cancer research. The government has spent hundreds of billions on cancer research over the last five decades, and what do we have? Where are we now? Well, one recent article quoted one of the foremost saying, essentially, that know we pretty much know what cancer is, and that we have to treat nearly every case as unique. In other words, he was saying we seem to have finally gotten to square one. Let the medical industry research. Let’s keep up the charity work, but let’s get government out spending for things it doesn’t need. The government cannot spend for us. The article implies the loans to Tesla were successful. Did the government loans to Tesla Motors help the environment or just give fancy toys to rich boys wanting to spruce up their green cred? The Energy Department considers the billions in losses as success. GAO accounts per law, not standard accounting practice, and always gets its estimates wrong in whichever direction makes the spending look better for the government (for the elected when campaigning for reelection). The article ends by pointing out the underestimated administration costs of running the program, but they say they keep raising fees, so it is starting to run in the black in that regard. Big whoop. So they finally figured out how much to soak the poor sods they are pretending to help. I’ve opted for plain and simple for my format and layout. The default presentation gives you the last few articles I’ve written in a long, scrollable format. Sometimes I add a “more” tag, which takes you to the individual post, showing the remainder of what I wrote for that article, but usually you must click the heading (to the left of the primary text blocks) to get to the specific article, since I usually just write it all, letting all show on the scrolling composite. The basic reading format doesn’t include a comment box. If you click the heading and go to the specific posting, there is a reply box at the end, after the share buttons and the tags and categories. You can also click the quote-button comment link just below the title. So, if you happen to read something you want to reply to, please do. I will almost certainly post your comment and reply to you. I’m not into censoring. I posted the following on Facebook in response to an article. It seems appropriate to record it here. For me and my wife, we faced the question of prenatal testing a couple of times with our children. With our first, we were pregnant at the same time as a friend-couple. They were having some difficulties, and the doctor recommended some testing for them. The tests included information on Downs and a couple other genetic factors. “All was well,” per the tests. My buddy suggested we test also. I asked why, stating it wouldn’t matter to us. We resolved to the outcome when we chose to become pregnant. It was that simple. God had blessed us with a new member of our family. Boy, girl, perfect, or flawed, just didn’t matter. Not at all. We were pregnant, come what may, and it was a blessing. We had a child who didn’t make it past the first few weeks of gestation. With that exception, all of our children have proven “normal,” even beautiful and bright. We are extraordinarily blessed. The thing is, I cannot imagine feeling differently with different results. Sure, there would be pain associated with difficulties, defects, chronic disease, and death, but I’d be no less blessed. (You cannot tell it, but I’ve teared up at the moment.) I’ve known several people with Downs. They have all been, even are, blessings to know. USGS harlots. Political pressure can make liars of us all. Anyone who thinks oil and gas has anywhere near the pull of lawyers, politicians, and Greenies is deluded. OKLAHOMA — It’s the million dollar question in Oklahoma: What’s causing all the earthquakes? There have been a lot of theories about fracking causing earthquakes. But now, the U.S. Geological Survey (USGS) says that fracking’s disposal wells are indeed, to blame. The debate about the cause of earthquakes in Oklahoma has really heated up within the last year. But now, the USGS is making strong statements about what they believe is the root of the problem. For some, that could end the debate. But Kim Hatfield, with the Oklahoma Independent Petroleum Association, says not so fast. Well, I don’t know why anyone would celebrate a day set aside for glorifying dirt. Mostly, it seems to me, the day is intended to celebrate human pain and suffering. It seems a day set aside to flaunt consumption and avarice by pretending not to, while a third of the world suffers burning dung to cook their food, that they worked all day to get and prepare, just so their children wouldn’t starve while they sat with nothing in the dark. We mark dates and anniversaries. Some numbers seem more significant. 20. Those babies would be in college now. Remember there are better ways to deal with things we consider problems. 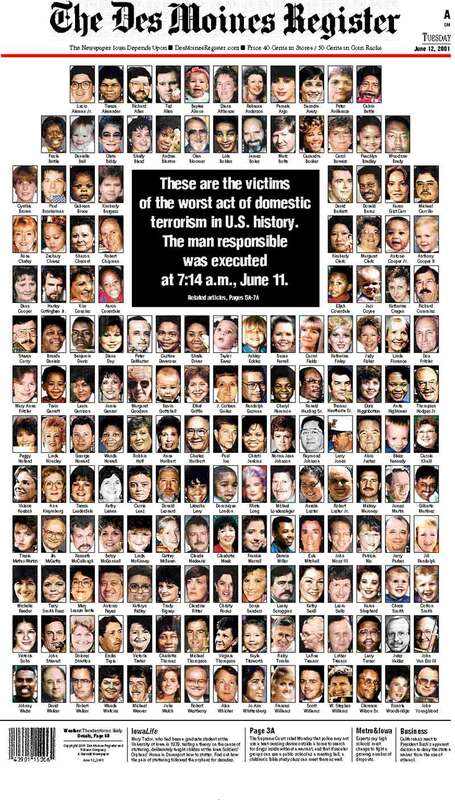 These weren’t the only victims. Remember those who lost it later because of it. Let’s face it, nobody likes lawyers. We all have our favourite jokes about them; my personal favourite being do you know what the difference is between a mosquito and a lawyer? One is a blood-sucking parasite and the other is an insect. Har, har but of course there’s an element of truth there. However, a good one can be a gladiator for you, and that’s whether you’re guilty or innocent, and of course we’re all innocent anyway. You spend the best part of four decades teaching law at Harvard to the best and brightest. It’s all roughly modelled on English common law but the real bedrock of American law is the constitution. Everything else is mere skirmishes over that tectonic plate. Battles are won or lost on it but if we ever lose that plate, we’re all truly lost. No comment could add to this. Some articles you owe, they’re a debt you have the need to repay and this is one of them. April, as TS Eliot wrote, is the cruellest month and I’d agree, if only because it contains the anniversary of my father’s death. This April, I will finally settle that debt and walk away. One way or another, I will do him justice or crash and burn on this last and final attempt. So, chin up Pointy, let’s give it a good old go. Forge on ahead and damn the torpedoes.